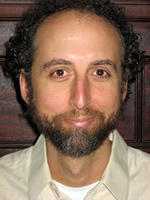 Brian Leaf, MA, is director of The New Leaf Learning Center, a holistic tutoring center in Massachusetts. In his work helping students manage ADD and overcome standardized-test and math phobias, Brian draws upon twenty-one years of intensive study, practice, and teaching of yoga, meditation, and holistic health. He is certified by The New England Institute of Ayurvedic Medicine and holds licenses or certifications as a Yoga Teacher, Massage Therapist, Energyworker, and Holistic Educator. He also incorporates Bach Flower Essences, Cranio-Sacral Therapy, Reiki, Shiatsu, and Tai Chi into his work. Brian is the author of eleven books, including Misadventures of a Garden State Yogi, Name That Movie!, and McGraw-Hill's Top 50 Skills for a Top Score. 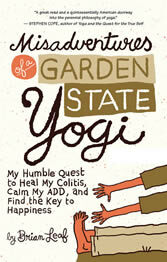 His books have been featured on The CW, MTV.com, Fox News, and Kripalu.org. Brian lives in western Massachusetts with his wife and two sons. 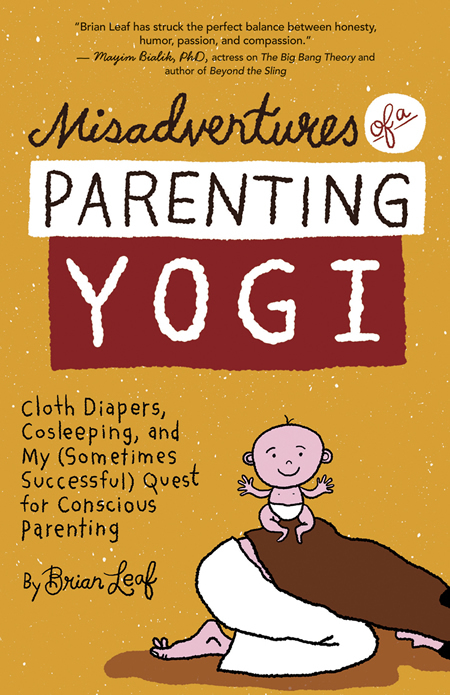 Copyright © 2013 misadventures-of-a-yogi.com. All rights reserved. | Website by Web-tactics,inc.